CEDAR RAPIDS, Iowa (November 3, 2016)-The defending national champion Kirkwood men’s basketball team will begin the 2016-2017 campaign on the road Friday at the Indian Hills Classic in Ottumwa, Iowa. 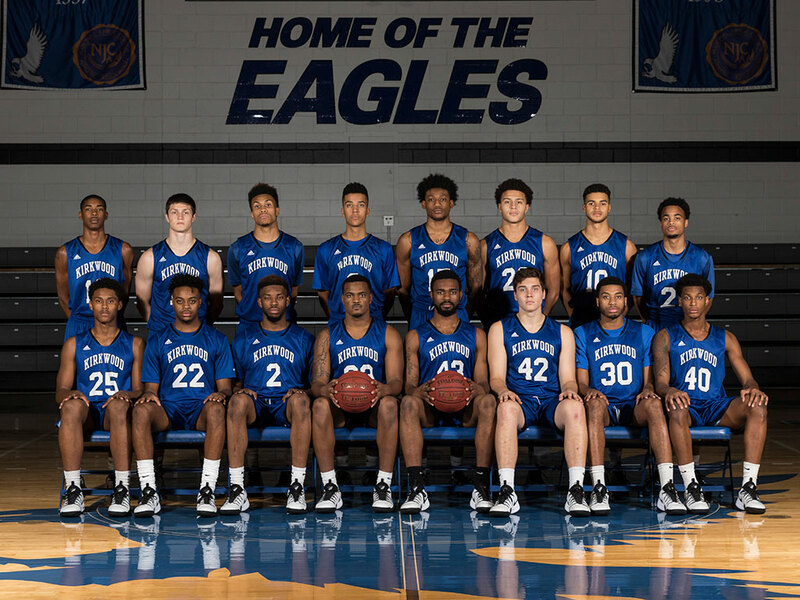 The Eagles will face the Carl Sandburg College Chargers beginning at 4:30 p.m.
Kirkwood Head Coach Bryan Petersen’s team is coming off an incredible season for the ages. Last year, the Eagles won the second national championship in the history of the Kirkwood men’s basketball program. The team begins this season in unfamiliar territory – with a target on their backs. The Eagles have a lot of talented sophomores returning to the squad this year. Guards Byron Harp, Al’Tavius Jackson and Kaliph Fagan join forwards Da’Rion King, Shakur Triplett and Elijah Henry to bring national championship experience to the team. Transfers Miles Wentzien and Shawn Foxbrennen round out the sophomore class. The freshmen class is filled with players who excelled in high school and now bring their talents to the junior college court. This handful of promising freshmen include guards Darius Rice, Ethan Meeker, Chris King, Derrick Howard and Carlo Marble as well as forwards Darias Oliver, Patrick Grabowski and Kameron Moore. Marble, son of former University of Iowa star Roy Marble, was part of a West Des Moines Valley team that won the Iowa 4A state championship last year. After starting the season with two games on the road, the Eagles return to Johnson Hall for their home opener on November 8 versus William Penn University. Tipoff for that game is scheduled for 7 p.m.
For more Kirkwood athletics news, go to www.kirkwoodeagles.com.